Yes, you can absolutely get cashmere for $25 if you look hard enough! 1. 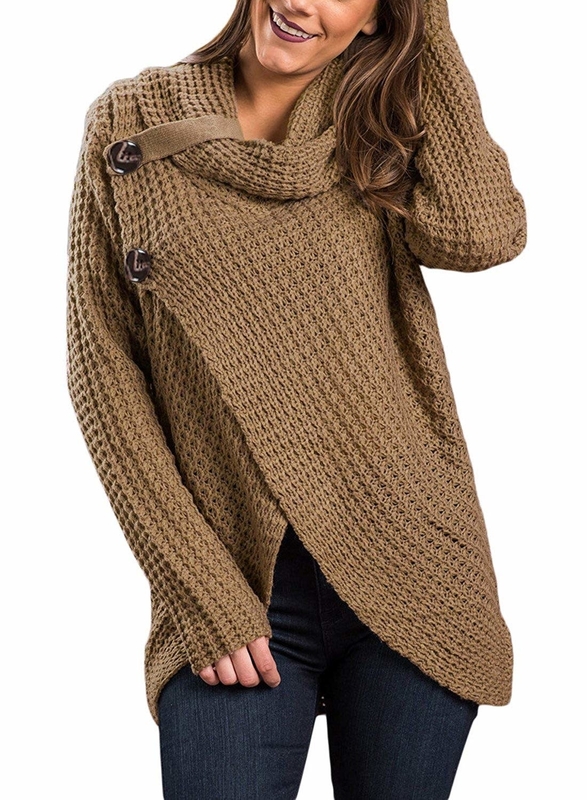 A deep v-neck knit sweater, because sometimes turtlenecks are just a little too constricting. You don't wanna get overheated. Get it from Amazon for $22.99 (available in sizes S–XL and three colors). 2. 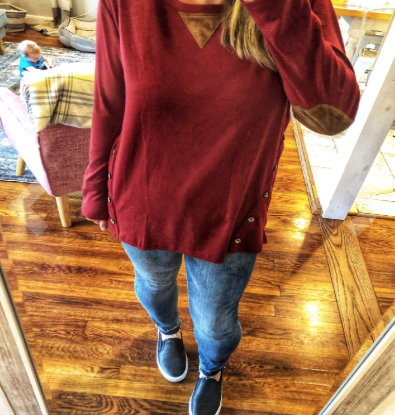 A slouchy pullover sweater (with a chest pocket) you can throw on when you only have five minutes to get ready. Get it from Amazon for $23.98 (available in sizes XS–L and three colors). 3. 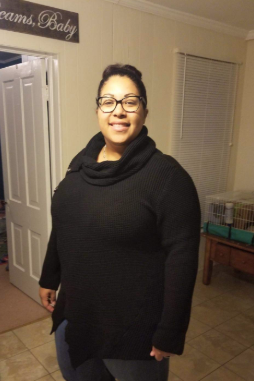 An oversized fluffy turtleneck, because you've GOT to protect ya neck in these cold, winter streets. Get it from Amazon for $27.99 (available in sizes S–XL and six colors). 4. A heart crewneck that'll show your infinite love for being warm and toasty even when the weather goes into the negatives. Frostbite? You don't know her! Promising review: "The color is perfect. I love the design and how I can wear it anytime. Fit me very well. Very comfy and casual." —Mari R.
5. 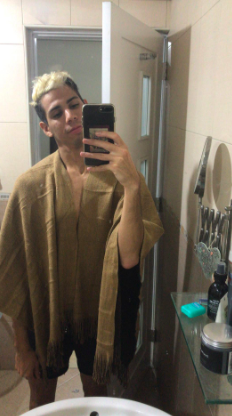 An open poncho to create the perfect dupe: People will think you look really cute, but you're actually just wearing a huge blanket. Get it from Amazon for $20.99 (one size fits most; available in six colors). 6. 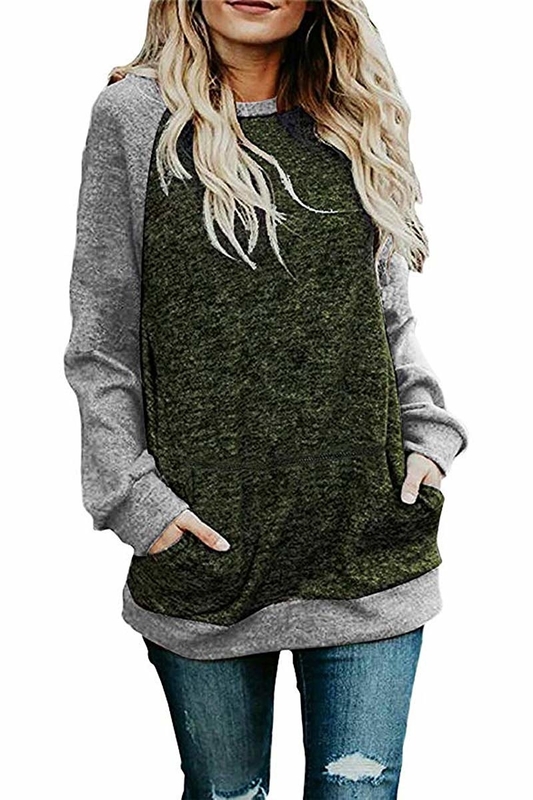 A layered pullover so it looks like you really did take the time to coordinate your outfit even though in reality you threw it on and raced out the door. Get it from Amazon for $9.99+ (available in sizes XS–L and three colors). 7. 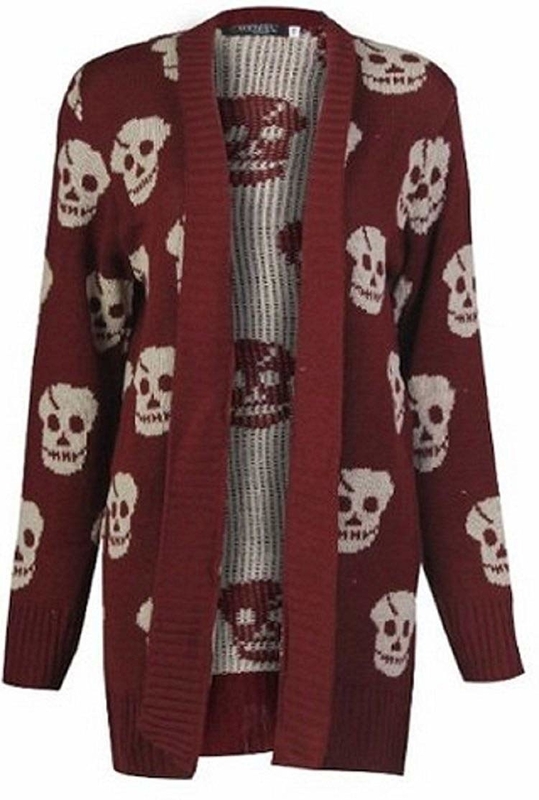 A chunky cardigan Mr. Rodgers would absolutely want in his neighboorhood. What a wonderful day in the neighborhood, indeed. This has pockets! Get it from Amazon for $23.99+ (available in sizes S–XL and five colors). 8. 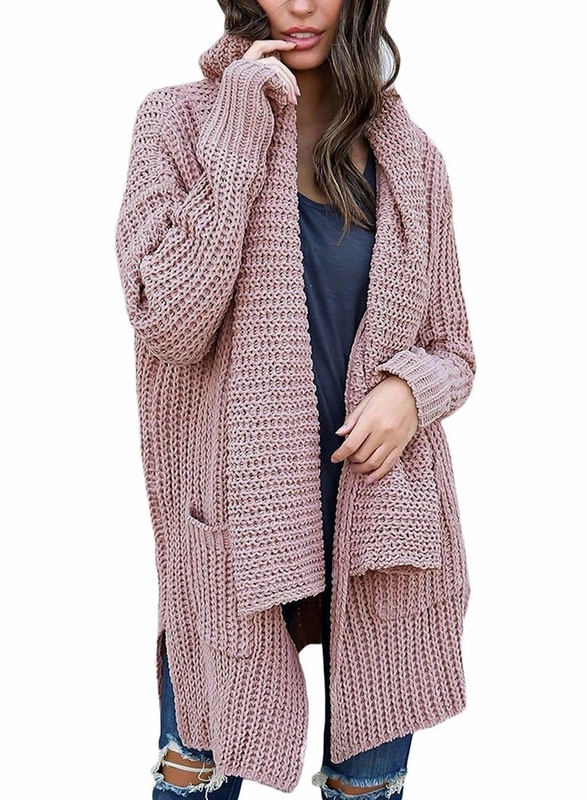 A longline cardigan that'll come in handy when the heat in your office is straight tripping. Get it from Forever 21 for $29.90 (available in sizes 0X–3X). 9. 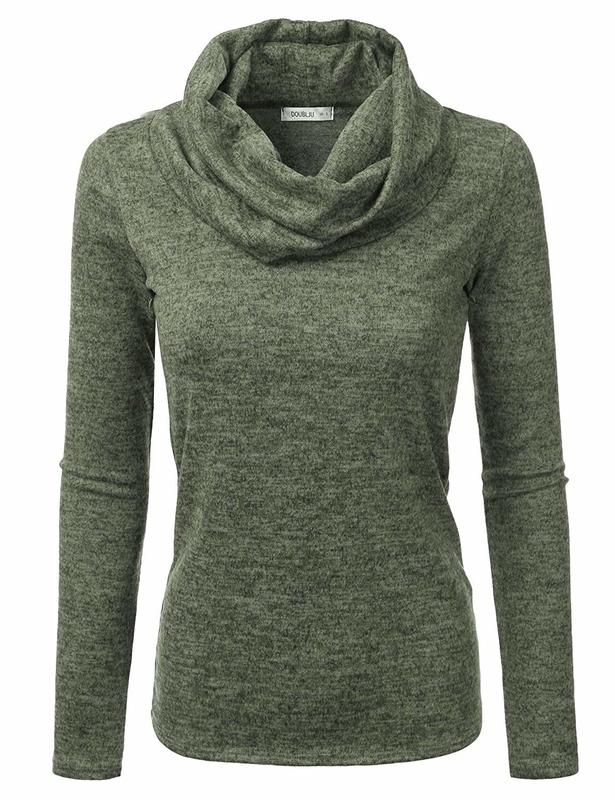 A cowl-neck knit top perfect for layering over thermal tees. Get it from Amazon for $26.33+ (available in sizes S–XXL and five colors). 10. 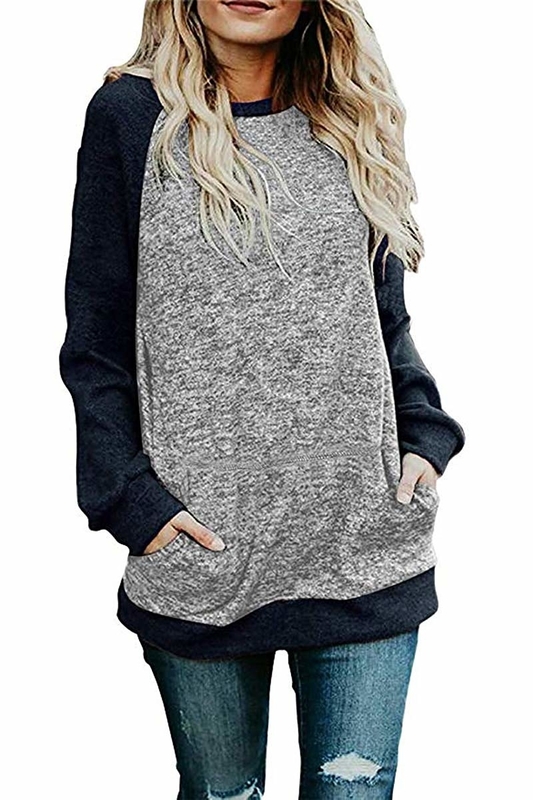 A Land's End turtleneck to be the trendy Instagram baddie you were born to be! Get it from Amazon for $11+ (available in sizes 1X–3X and nine colors). 11. A color block crewneck sweater that'll be the perfect mesh of serving looks while being as casual as humanly possible. Get it from Amazon for $21.99 (available in sizes S–XXL and four colors). 12. An open-front cable-knit cardigan your grandpa probably owns (and so should you). Get it from Amazon for $27.69+ (available in sizes S–XXL and 17 colors). 13. 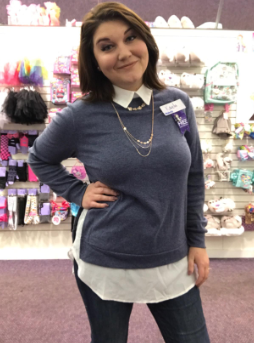 A sweater with elbow patches and side buttons for spicing up a plain ole' shirt, but not getting into anything tooooo crazy. Get it from Amazon for $16.99+ (available in sizes S–XXL and six colors). 14. A striped-sleeve knit for when you're feeling business in the front and partay on the... sides? Heck yeah. Get it from Amazon for $18.99 (available in sizes S–XXL and seven colors). 15. A cropped, cable lace-up sweater as cute as it is cozy. If you love wearing high-waisted pants, this is the gem you need in your life. 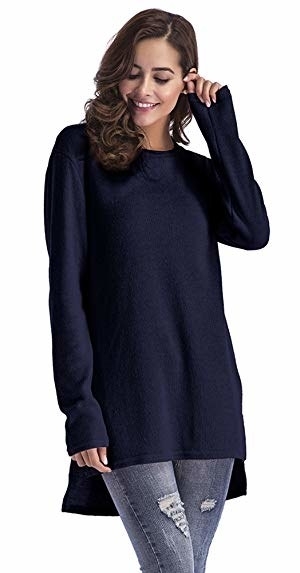 Get it from Amazon for $22.99 (available in sizes XS–L and five colors). 16. A striped turtleneck I'm pretty sure Brandy wore in a Moesha episode one time, which means everytime you wear it you'll be embracing a '90s R&B queen. Get it from Forever 21 for $19.90 (available in sizes 1X–3X). 17. 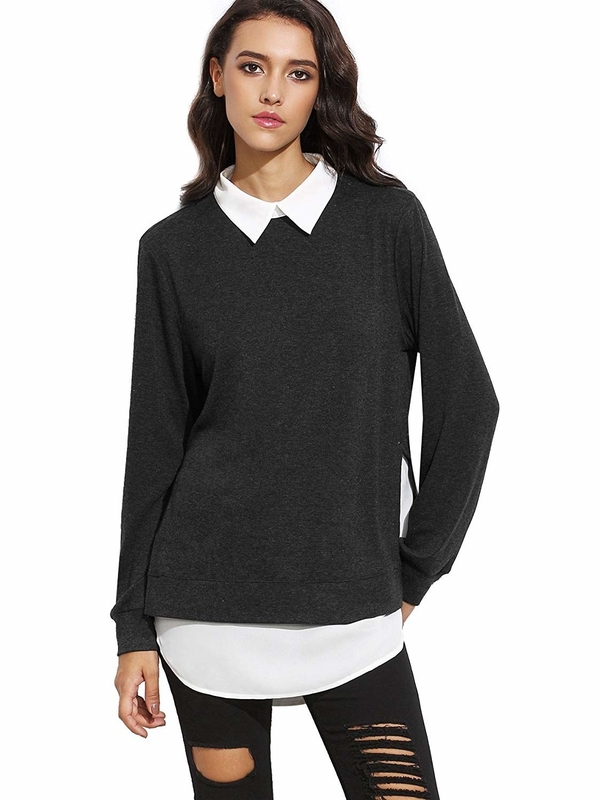 A collared pullover for when you wanna show you're all business. Like for real, don't mess with me, because I am not kidding when it comes to my fashion sense. Get it from Amazon for $17.99+ (available in sizes XS–XXL and eight colors). 18. A graphic sweater that'll be a reminder to everyone around you that you're royalty and will be treated as such. Get it from Forever 21 for $27.90 (available in sizes 0X–3X and two colors). 19. A lovely knit with elbow heart patches to spread the love of all things autumn. Get it from Amazon for $18.99 (available in sizes XS–L and five colors). 20. A simple cashmere-blend V-neck you should always keep in your closet for fashion emergencies. It literally works with everything. Get it from Amazon for $29.97 (available in sizes S–3X and 13 colors). 21. A sleek black hoodie to throw on when you want to be chill, comfortable and stylish all at the same damn time. Get it from Asos for $29 (available in sizes 12–26). 22. 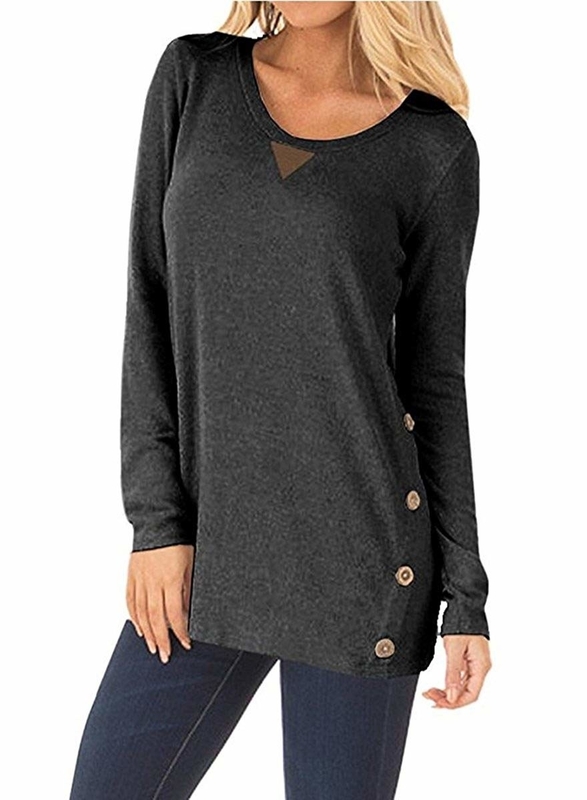 A tunic sweater with zippers on the side so you can wear it open or closed. 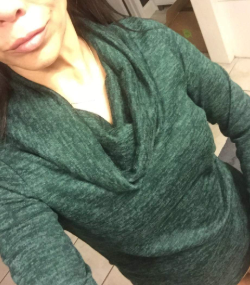 Promising review: "Beautiful top that is very soft and warm. The zippers on the side are fun. A great purchase." 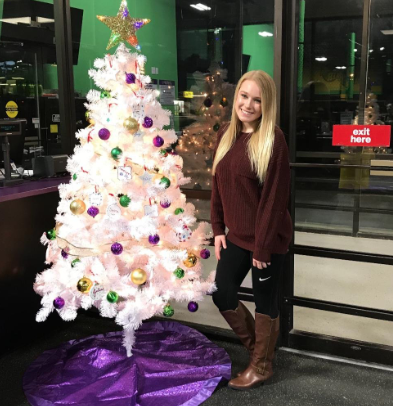 —Joleen the economical fashion queen! Get it from Amazon for $15.97+ (available in sizes S–XL and three colors). 23. A colorblock sweatshirt to show just how bold you can be when it comes to coordination. Get it from Asos for $29 (available in sizes 12–28). Get it from Amazon for $4+ (available in sizes XS–3X and 11 colors). 25. 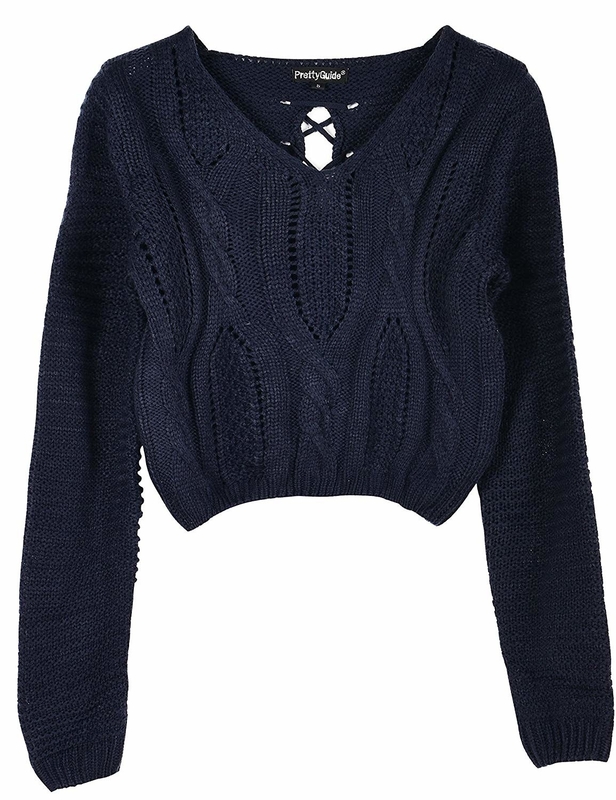 A cropped sweatshirt with a scalloped hem so you can easily dress up a cozy look and stand out. Get it from Amazon for $14.99+ (available in sizes XS–XL and six colors). 26. 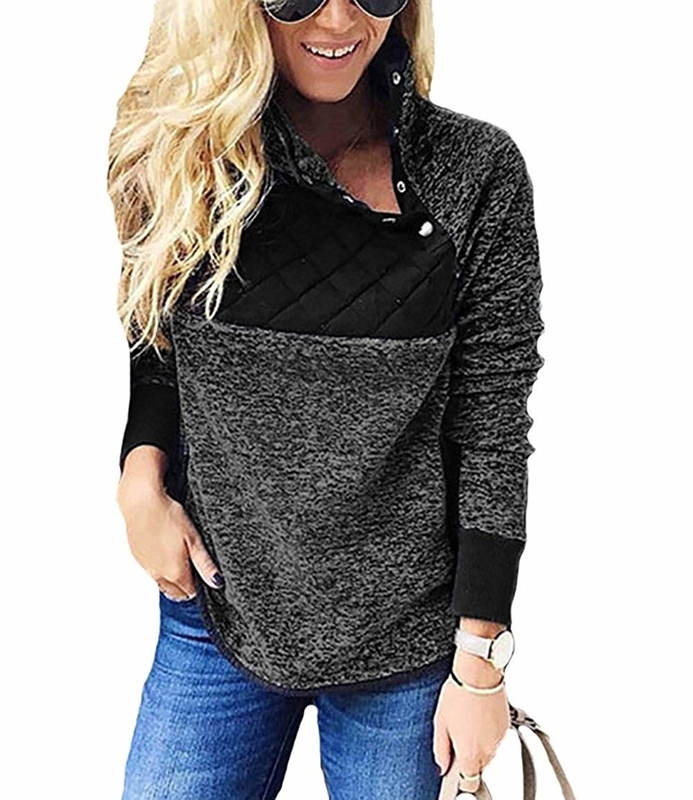 A fleece pullover featuring a geometric pattern for anyone in need of a comfy outfit to run errands in. 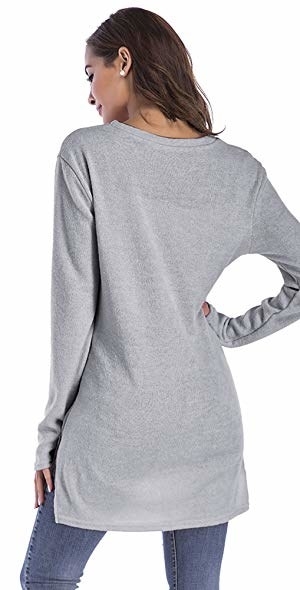 Get it from Amazon for $6.59+ (available in sizes S–XXXL and six colors). 27. A maxi cardigan perfect for layering, because let's be real, your T-shirts are life and aren't going anywhere. Get it from Asos for $29 (available in sizes 14–24). 28. A heather knit cowl neck sweater that'll look good with whatever bottoms you have on hand and become a wardrobe staple in no time. Get it from Amazon for $9.99+ (available in sizes S–XXXL and 12 colors). 29. A cable-knit sweater to double as a coat for maximum warmth while still looking professional. Get it from Amazon for $29.99+ (available in sizes S–XXL and 10 colors). 30. 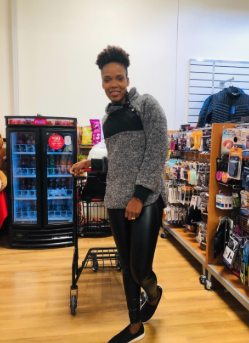 A warm and cozy turtleneck with a pop of pink that'll allow you to look like a snack without trying. Get it from Asos for $16 (available in sizes 12–26). 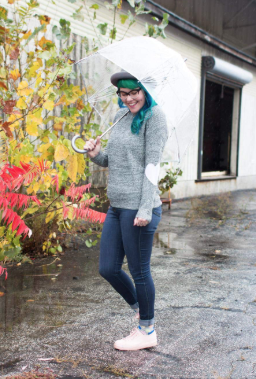 Sweater weather really is the best weather!